Living a Fit and Full Life: Swim in Style with Bling2o Goggles! Who knew at the time that an at-home project with our kids would become an international gift line?! But after friends and neighbors asked for their own custom decorated googles, we realized that we were on to something. We were all experienced New York wholesale, merchandising and product design experts and bravely launched Bling2o in 2013. We know when we combine our passion with the trends kids love, endless possibilities exist for our products. You can’t beat making a product that makes EVERYONE smile! Color, Sparkle, Imagination That’s what we are all about at Bling2o. Our line of kids’ sporting accessories are ahead of trend, bringing boys and girls the fantasy fun factor they crave. From Swim Goggles to Snow Goggles, we have your seasons covered! Bling2o Goggles are absolutely awesome! My eight year old loves to swim so we've tried many different goggles in the past and none really fit her very well. Bling2o Goggles not only fit her perfectly but they're totally decked out for girls who love bling. They fit comfortably and look amazingly stylish. She also loves that she can wear them the entire time she's swimming and they don't fog up. 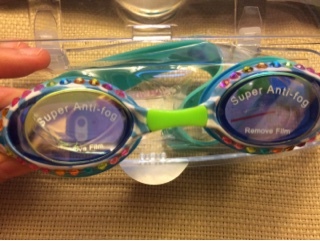 I love that Bling2o Goggles are latex free and lead free. Bling2o Goggles are absolutely fabulous and I highly recommend them! Click HERE to find a store near you that sells Bling2o! Click HERE to learn more about Bling2o! 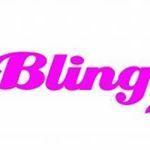 Follow Bling2o on social media!